Who is it for? Why get it? What do you need to know? Certain areas can be more prone to break ins than others. These could equally be ‘problem areas’ or desirable ones where burglars envisage great rewards and may even target several homes in one hit. For those homes that have been broken into previously, especially those targeted on more than one occasion, it can be necessary to step up security beyond that of an intruder alarm. Why get CCTV? What are the benefits? Just the existence of an installed CCTV system can be enough to deter a would-be intruder, particularly if they can see it has been installed correctly with cameras covering a range of angles and few, if any, potential weaknesses in the system. Many are not put off by alarm systems alone if they know they will be in and out quickly but the risk of being caught on camera will usually make them think twice. 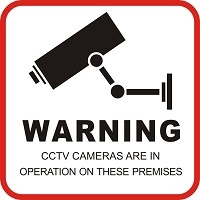 CCTV systems have been prohibitively expensive for homeowners in the past but that is changing. The price is now becoming much more affordable, starting at around £1000 for a quality system. This cost can be offset by savings in insurance premiums and counter balanced by the potential cost of a break in and any subsequent increases in insurance costs following a claim. It’s always better to use a specialist security company to supply and install a CCTV system than to save a little bit of money by getting a general electrician to install it. This can be a false economy, here’s why. If you think CCTV might be a good idea for your home security then we can offer advice and guidance to help you make your decision. You can speak to us on 01924 371941, call into our security shop in Wakefield or make an appointment for a home survey. next Are you getting a good deal?